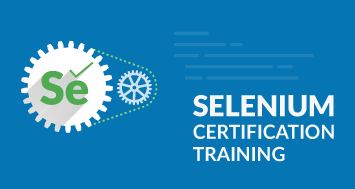 Are you an aspiring DevOps Engineer looking forward to learn all the DevOps tools? Well, if you are, then you should consider mastering DevOps by learning all the top tools. One such tool which must be on your list is Ansible. Ansible is an open source IT Configuration Management, Deployment & Orchestration tool which aims to provide large productivity gains to a wide variety of automation challenges. The Ansible Cheat Sheet is designed to get you started with Ansible and make you understand all the basic concepts of it. Ansible is an open source Continuous Deployment, Configuration Management, & Orchestration. This tool aims to provide large productivity gains to a wide variety of automation challenges and is powerful enough to automate complex multi-tier IT application environments. Ansible uses SSH to communicate between the nodes. The inventory file of Ansible lists all the platforms you want to automate across. Ansible at a single instance can work on multiple hosts in the infrastructure. It is also possible to have multiple inventory files at the same time. Follow the below steps to set hosts and then check their connection. Refer to the following table to know the Ansible Host Patterns, as described in playbooks. Below is an example inventory file, which you can refer to understand the various parameters. Ad-Hoc commands are quick commands which are used to perform the actions, that won’t be saved for later. I am going to explain all these tasks, with a basic example. Basic Example: To reboot all the web servers present in Europe, 20 at a time. In this section, I am going to tell you the commands, for parallelism and shell. This section consists of commands to manage packages. $ ansible webservers -m apt -a "name=acme state=present"
$ ansible webservers -m apt -a "name=acme-1.5 state=present"
$ ansible webservers -m apt -a "name=acme state=latest"
$ ansible webservers -m apt -a "name=acme state=absent"
Ansible can perform secure transmissions of files to multiple machines in parallel. $ ansible europe -m copy -a "src=/etc/hosts dest=/tmp/hosts"
$ ansible webservers -m file -a "dest=/srv/foo/b.txt mode=600 owner=example group=example"
$ ansible webservers -m file -a "dest=/path/to/c mode=755 owner=example group=example state=directory"
This section consists of the command that tells you how to deploy web app straight from git. $ ansible webservers -m git -a "repo=https://foo.example.org/repo.git dest=/src/myapp version=HEAD"
This section consists of commands to manage services. Playbooks in Ansible are written in YAML format. It is a human-readable data serialization language that is commonly used for configuration files. It can also be used in many applications where data is being stored. A playbook has various parameters that you need to mention, like Hosts & Users, Variables, Tasks, Handlers, Modules and Return Values. This is the sample playbook to start the Apache httpd Server program. Follow the below steps to write a run a playbook. For the ease of understanding, the commands are in a generalized format. #You do not have to follow the above steps, if you already have host connected to the control machine. #To write the playbook refer to the snapshot here. With this, we come to an end to Ansible Cheat Sheet. Check out the DevOps Certification Training by Edureka, a trusted online learning company with a network of more than 250,000 satisfied learners spread across the globe. Edureka’s DevOps Certification Training is designed to provide you with the knowledge and skills that are required to become a successful DevOps Engineer.